Is your child fascinated by art and its many forms? 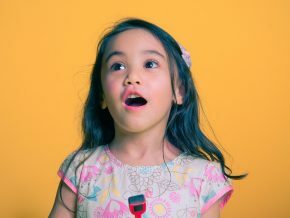 Want to hone your child’s talent and unleash the artist in them? Now is the right time! Have a look at Topia English Learning Center’s Open Art Class for Children! 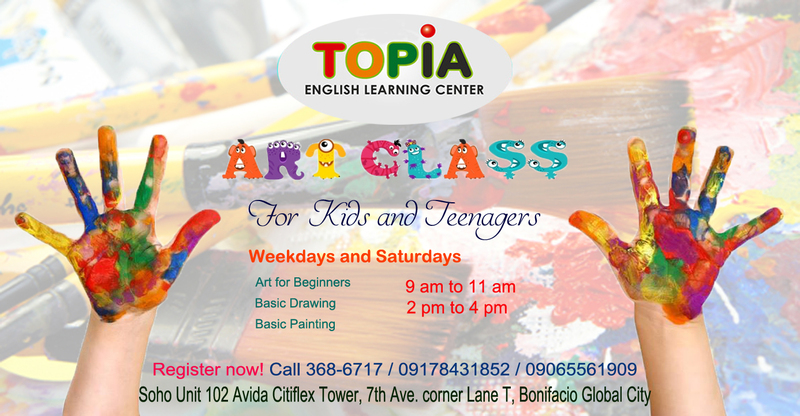 As they welcome the New Year, Topia English Learning Center is now offering an art class for children and teenagers alike which runs on a daily basis. 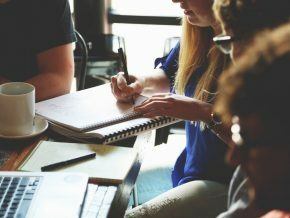 Their art lessons include Art for Beginners, Basic Drawing, and Basic Painting. Students have an option to try either morning art class from 9 am to 11 am or the afternoon art class from 2 pm to 4 pm. Workshop fee is priced at Php 700 per session if your child has their own art materials, or pay an additional Php 100 and they will provide the art materials for your child. Students are asked to bring their own aprons that will be used for the duration of the art class they are attending to. You may visit Topia English Learning Center at Soho Unit 102 Avida Citiflex Tower, 7th Ave., corner Lane T, Bonifacio Global City, Taguig. For questions and other inquiries, you may contact them at 02-368-6717, 0917-843-1852, or 0906-556-1909.